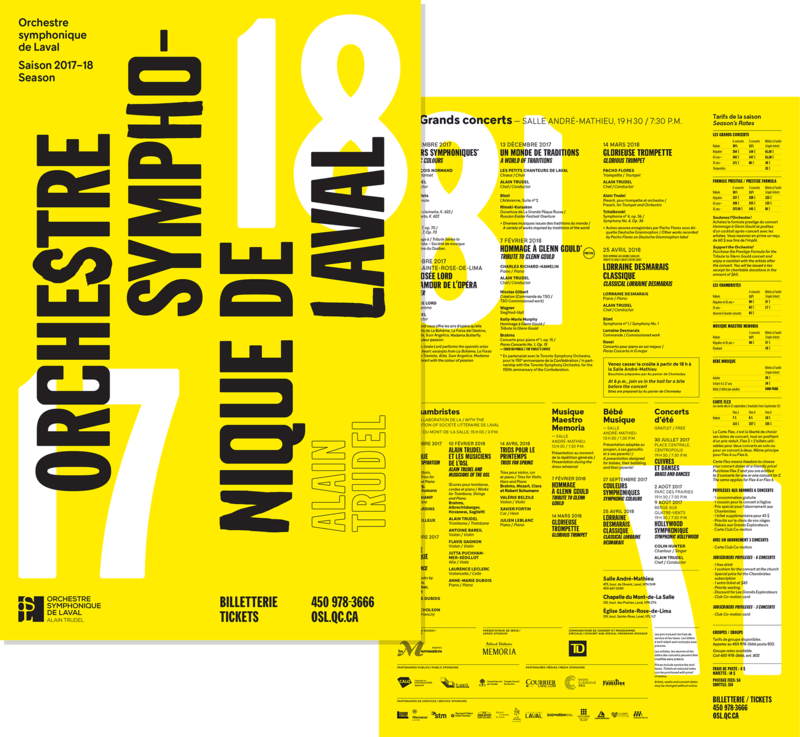 For this year’s series of concerts, the Laval Symphonic Orchestra identity boldly plays with typographic and contemporary visuals composed in More Gothic and Guillon. On the menu: movement, strength and intensity. Now let the fat lady sing!